Merry Christmas from everyone at the House of Butter! We are taking a short break from recipes to celebrate this most festive time of the year – the start of WINTER!!! 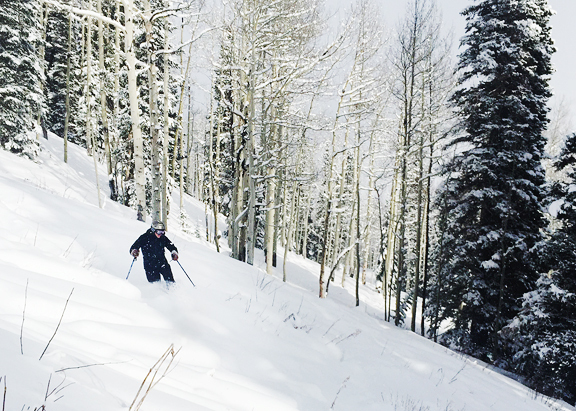 By the good grace of Ullr, Crested Butte has received a couple of feet of much needed snow this week. So you probably know what we’ve been up to the last several days. 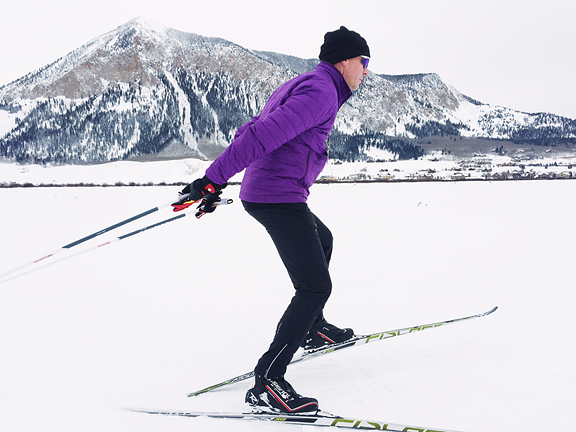 don’t forget skate skiing on the nordic trails! Although we don’t exchange gifts for Christmas, Neva has been the recipient of a number of presents from various friends this year (toys and food). What a lucky little girl! 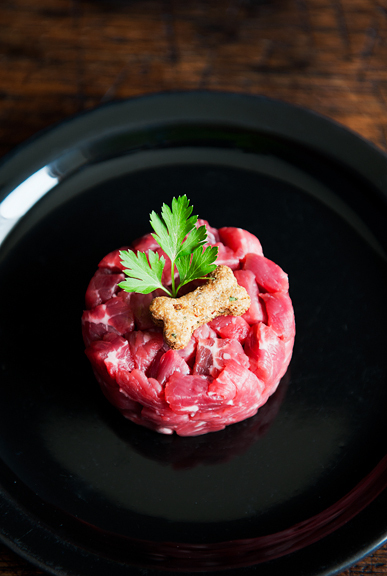 And since it *is* a holiday, I plated something special for our pup. I guess she made Santa’s good list? 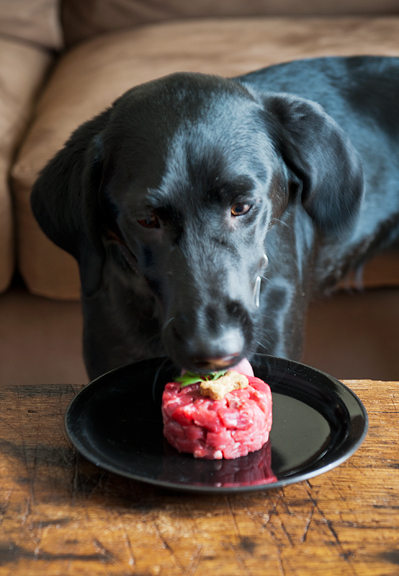 Since Neva went through this last time over Thanksgiving, she had a feeling that plate of raw beef on the coffee table was for her. It took a lot of coaxing to get Neva to sit still in front of her plate. It was just so tempting that she had to get up and run away from it, but then she’d turn around and stare at the food from afar. When we finally gave the release word, we were both surprised that she lunged for the parsley first. However, she wasn’t eating it, she was picking it up and tossing it aside! 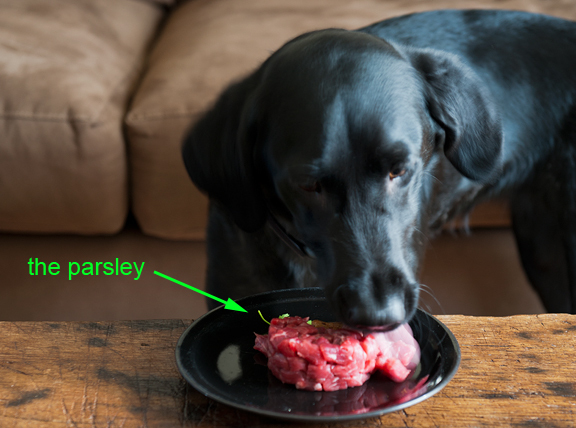 That is hilarious with the parsley. 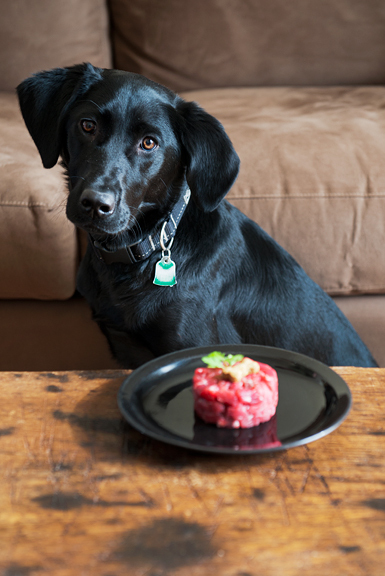 We had a dog who could separate the peas from a beef casserole she would get occasionally. Enjoy a much deserved break! Happy New Year to you, Jeremy and Neva. Oh, this made me laugh out loud. We, too, have a dog (14 years old now) that separates the veggies from the “real” food. I also wanted to share that we made your bourbon-glazed beef tenderloin for friends on X-Mas Eve and it was AWESOME! Thank you so much for sharing the recipe. It’s sure to become a new family favorite. 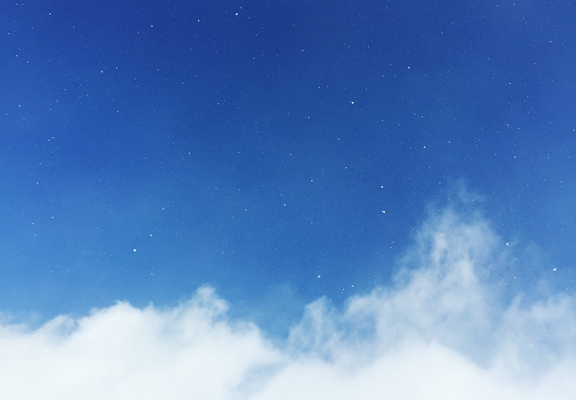 Wishing you much sun, and snow, and happiness. Neva is such a darling, and youall take such great care of her! Glad you got some wonderful powder, enoy. 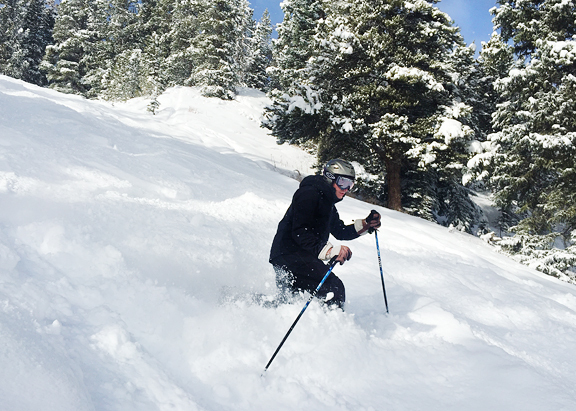 I’ve been skiing a couple times in CO at the commercial runs (Keystone). loved it, and miss it. Absolutely love your blog! Happy NY to your family. I love the pic of Neva staring at her treat…waiting for her “release word”. It reminds me of when I was a kid (back in the ice-age) I taught our family dog tricks. One great one was setting a piece meat on the floor and I told him, today is Friday, you’re a good Catholic dog and you don’t eat meat on Friday. He waited patiently until I said, OK, Rickey, today is Tuesday. Love your blog, pix, recipes, chat about your lives and especially about Neva. Hope you keep “Butter” going for years to come. Happy new year! I enjoy your blog so much: your recipes, photos, & genuine stories from your life are lovely. Thank you for sharing and cheers to a Happy New Year! Too cute! You and Jeremy have done a great job with her. Merry Christmas and a Happy New Year to you both! Keep those lovely snow pictures coming. The outcome of your coaxing efforts is worth them: Such a cute picture! Happy Holidays and a wonderful and Happy New Year to all!